Andrew Bisdale has been a passionate photographer for most of his adult life. He studied History and Photojournalism at Boston University, where his work won several awards from the Boston Press Photographers’ Association. 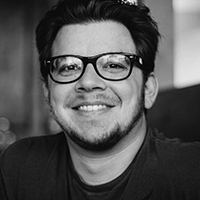 After graduation he began a varied freelancing career, working with such clients as the Metropolitan Museum of Art, the Upright Citizens Brigade, and most recently The Chris Gethard Show. Throughout his life Andrew has had a passion for nature. 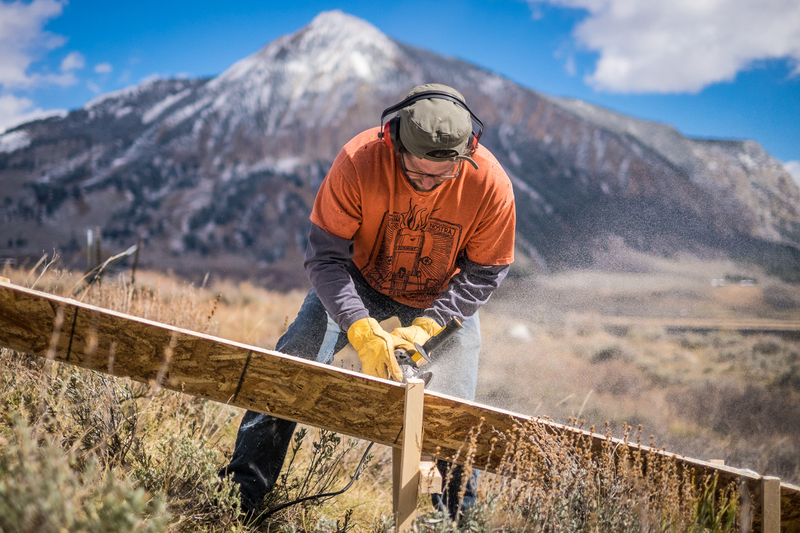 Over the years he has developed a special affection for the town of Crested Butte, Colorado, a place where he’s been able to explore his interest in photography and the natural world. I went to Crested Butte, Colorado in the Fall of 2015 with no particular goals, other than to enjoy the foliage on the Aspens and focus on my landscape photography. 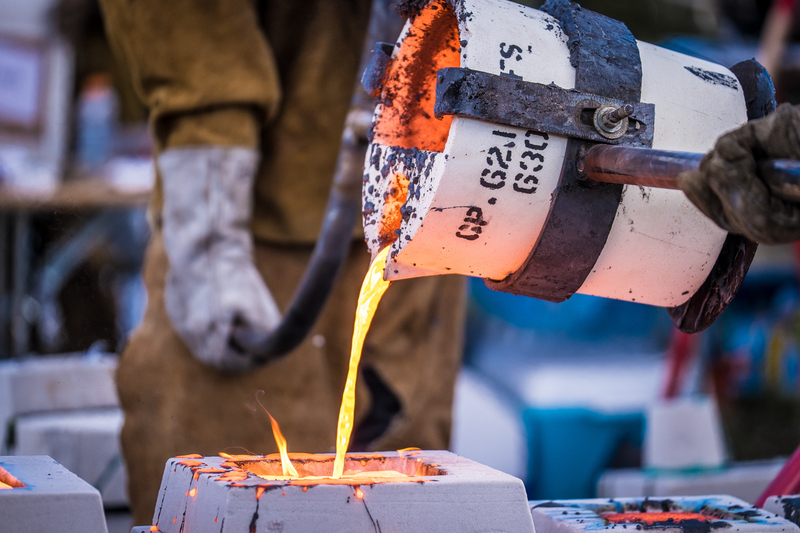 Early on in my trip, and almost by accident, I happened upon the ski town’s annual harvest Festival, Vinotok, which included a Community Collaborative Iron Pour event in collaboration with local artists and the town’s Center for the Arts. Vinotok is a week-long harvest festival founded in 1985, that includes events like an outdoor community feast, multiple nights of storytelling, and a town-wide parade that culminates with the burning of a “Grump” effigy (depending on who you ask, this was the inspiration for California’s more widely-known “Burning Man” festival). 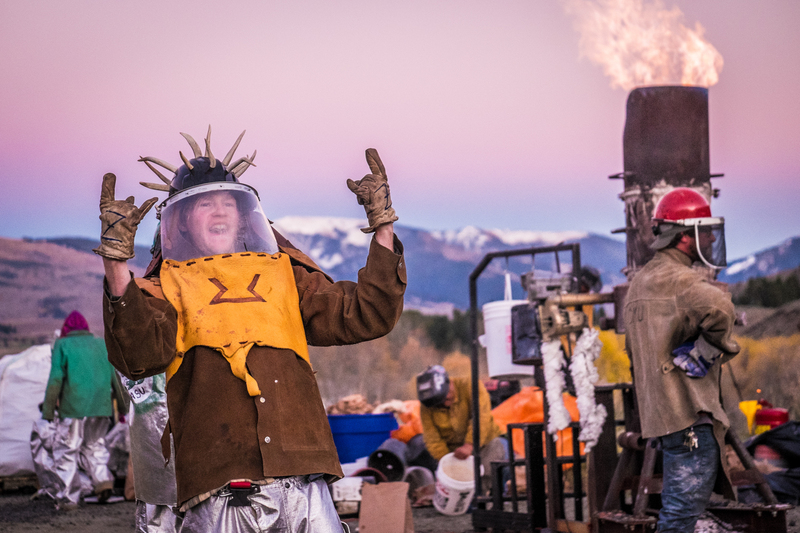 A new addition to the festival this year was the Community Iron Pour, the brainchild of Jesse Blumenthal, a local metalworking artist. 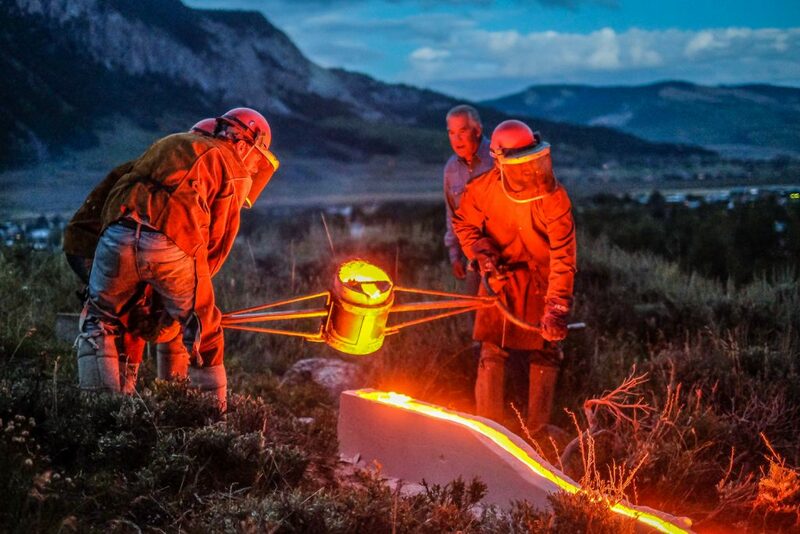 As Pour Director, Jesse collaborated with The Crested Butte Center for the Arts as well as artists and colleges from all over the country to create the multifaceted, interactive event. 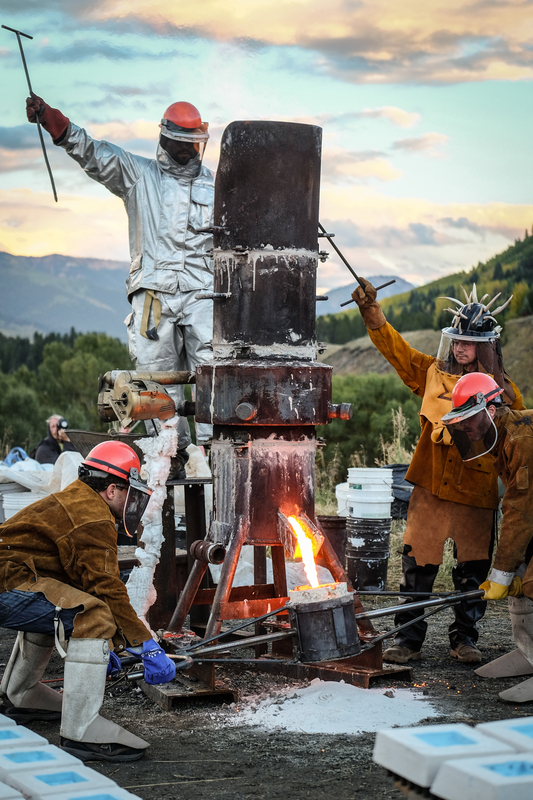 On a hilltop overlooking the town of Crested Butte, the Pour began with a ceremony similar to the rest of the festival. 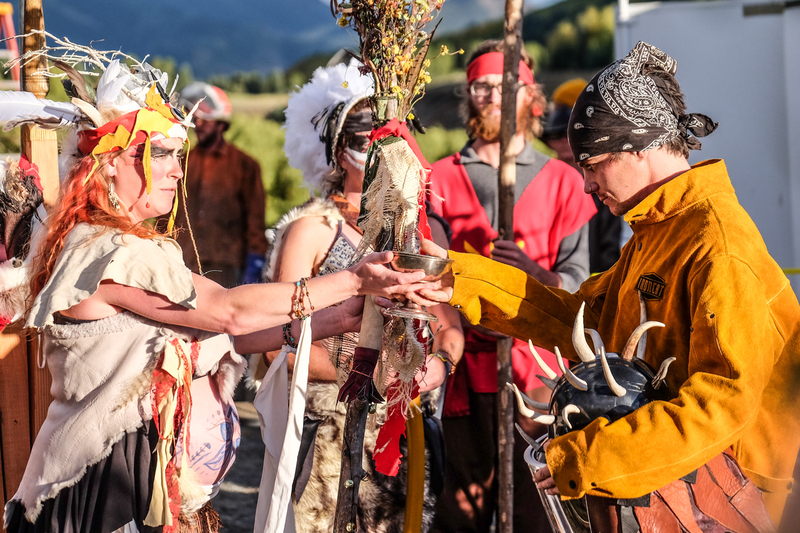 There were dedications to the Harvest Mother, the element of iron itself, and performances by all sorts of costumed characters. 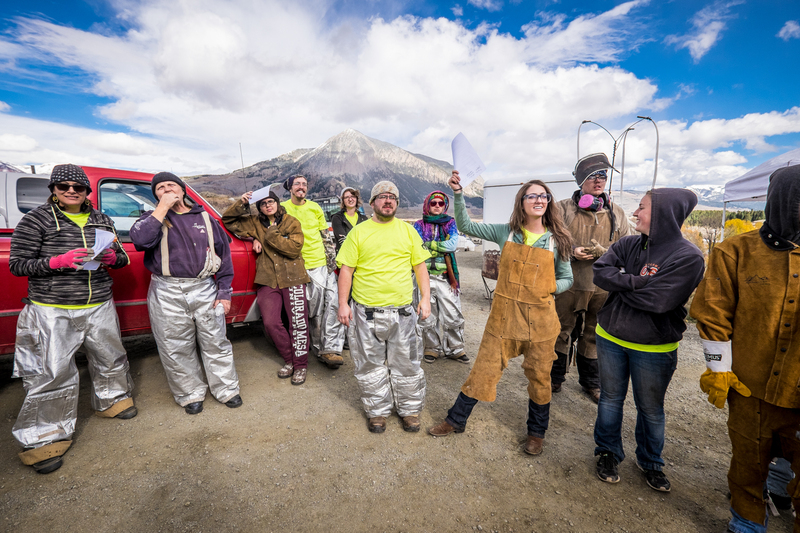 Afterwards artists from all over the country began melting and pouring iron into molds created by community members, college interns, and resident artists. 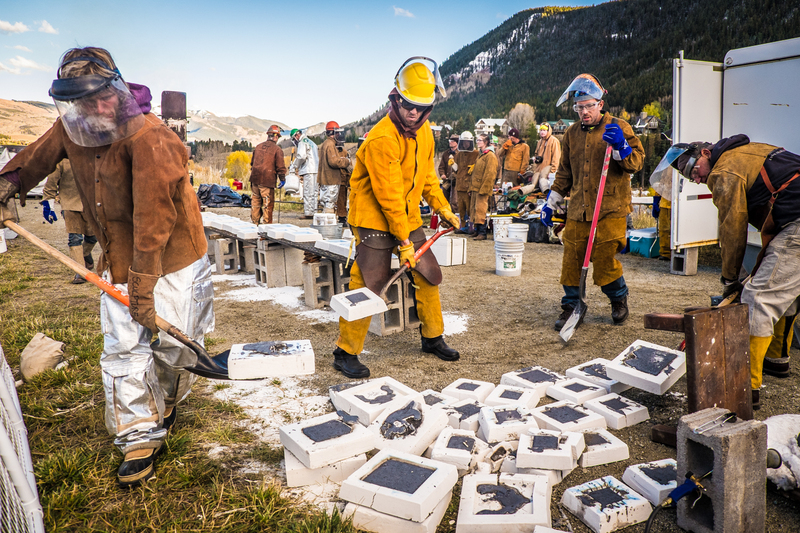 As the sun got lower the focus turned towards visiting artist and Colorado Mesa University Professor, Araan Schmidt’s performance-based pour: a long sand luge uphill from the main event. 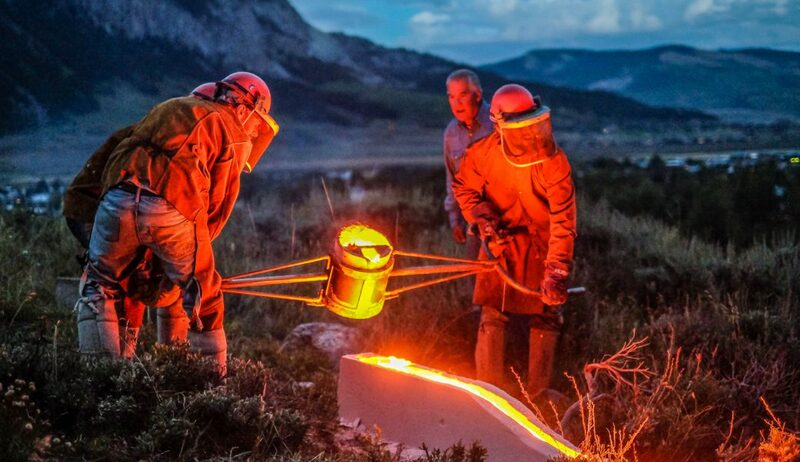 As the artists poured the molten iron into the fixture they looked like volcanologists, especially set against the backdrop of the picturesque (if not exactly ‘volcanic’) Mt. Crested Butte. 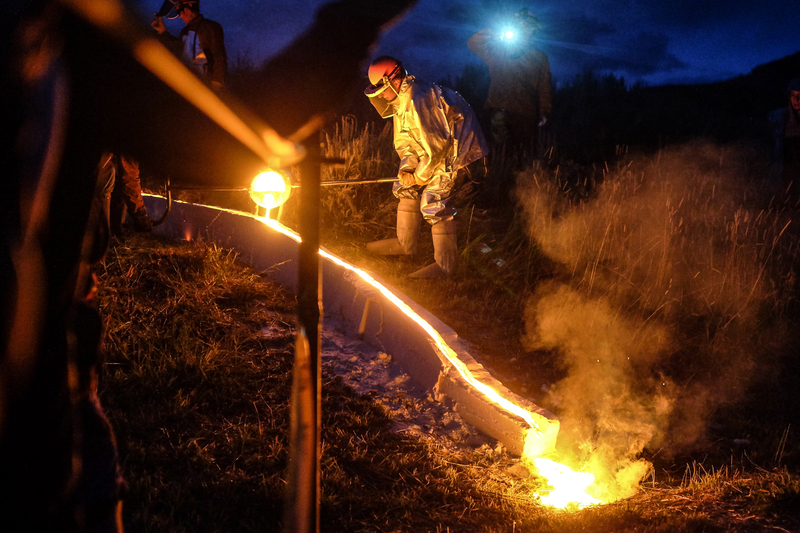 The night concluded with more theatrical displays using the molten iron, and despite the intermittent rain showers the community stayed to celebrate around a bonfire. I had just gotten into town about a week prior, at the beginning of what would be a two-month stay. 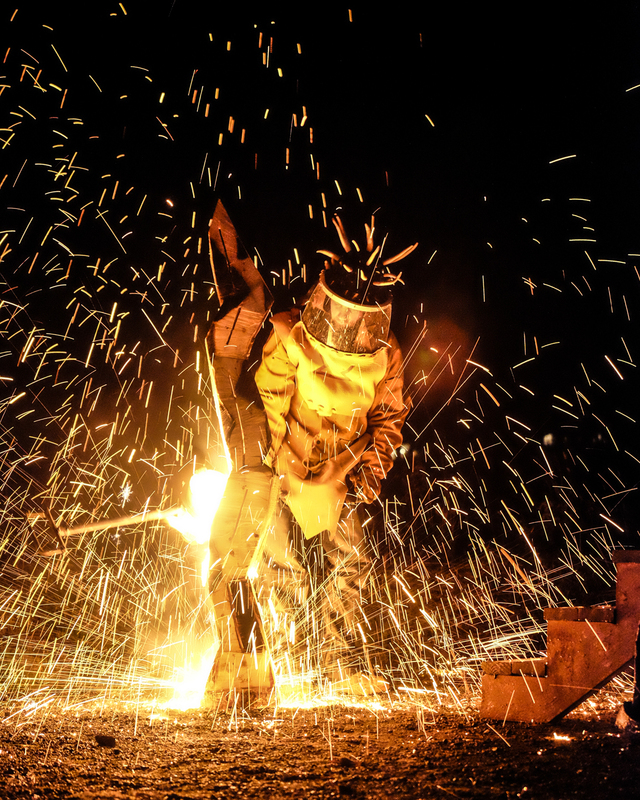 Luckily I read about this Vinotok festival in the local paper and happened upon the Iron Pour with nothing but my Fujifilm gear and little idea what to expect. From a technical standpoint, the main features I really enjoyed were the electronic shutter and the weather resistant seal. 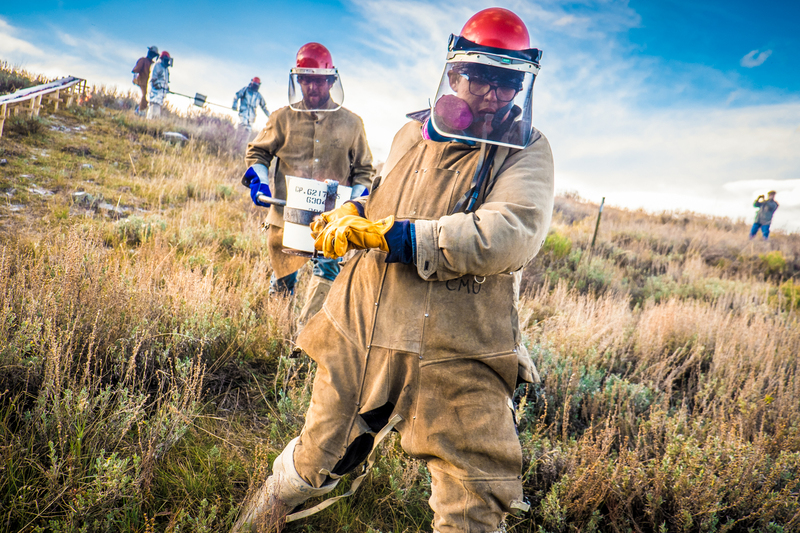 Personally I love making pictures with shallow depths of field. 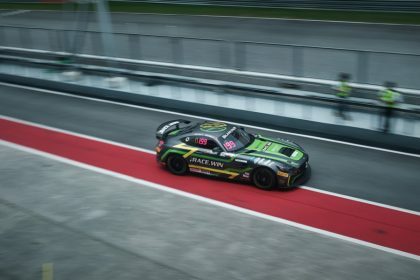 With the electronic shutter enabling my X-T1 to shoot at up to 1/32,000th of a second, I was able to shoot with wide-open apertures all day, regardless of which lens I used. When the rain started coming down heavily during the peak of the pour, I saw a good deal of photographers packing away their cameras and waiting for the weather to clear. Of the several lenses I had with me, I knew the 50-140mm f/2.8 had a weather-resistant seal when attached to the X-T1, so I was able to keep shooting. The falling rain against the glow of the iron in the dark made for some really interesting shots. Over the course of the next few weeks I was able to get to know a lot of the local residents, and feel slightly less like a tourist myself. 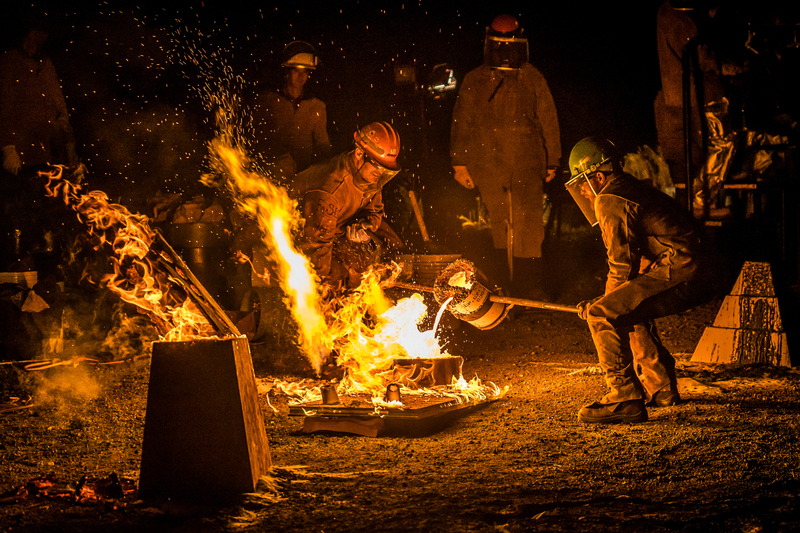 I was lucky enough to be invited back the following Fall to photograph the second annual Iron Pour. This time it was not directly affiliated with the Vinotok Festival. 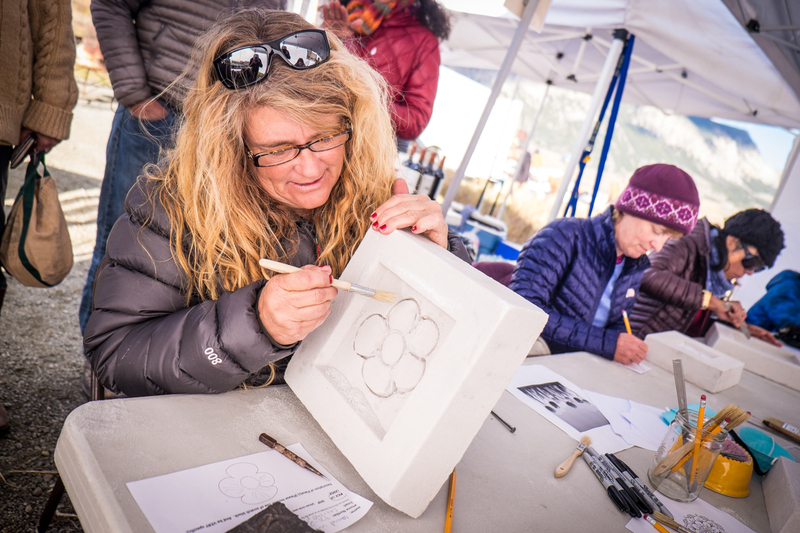 However through the efforts of artist Jesse Blumenthal and The Crested Butte Center for the Arts they fostered an even greater involvement from artists and universities from across the country. 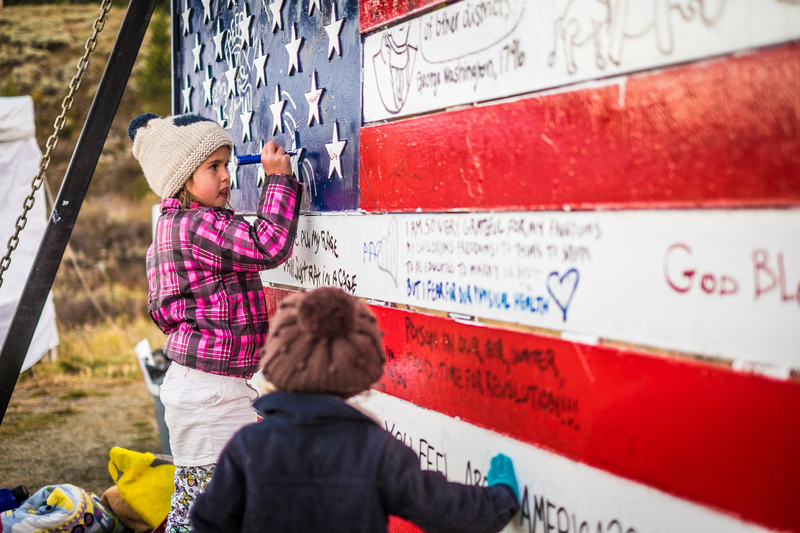 Florida-based artist Ira Hill featured his travelling exhibit “American Expressions,” a giant, steel American flag he would tow across the country while encouraging viewers to share their thoughts and insights by writing on it. 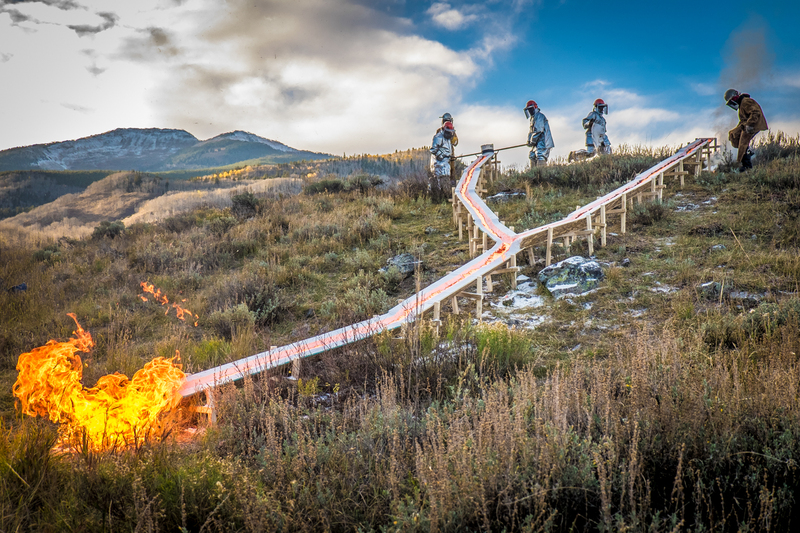 Araan Schmidt created another luge performance, this time with the locally beloved Red Lady Mountain as the featured backdrop. 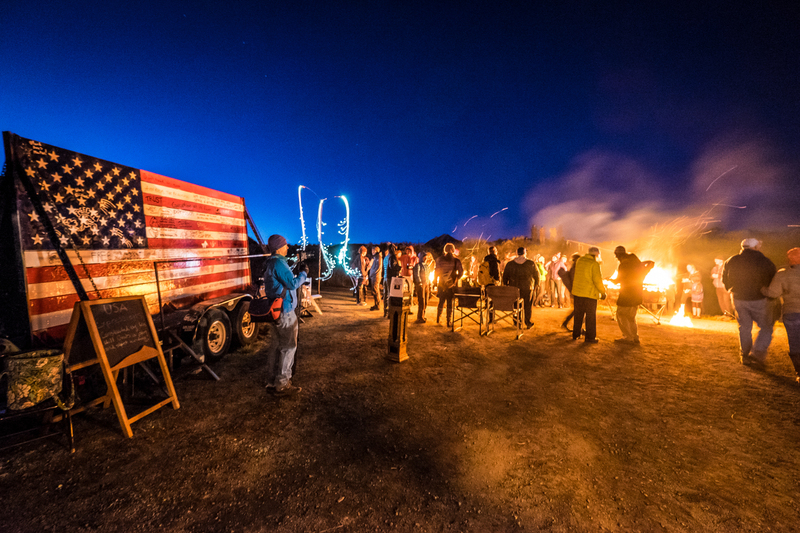 Despite the growing size of the event, the evening ended with a familiar scene of community members enjoying food and drinks around the bonfire. 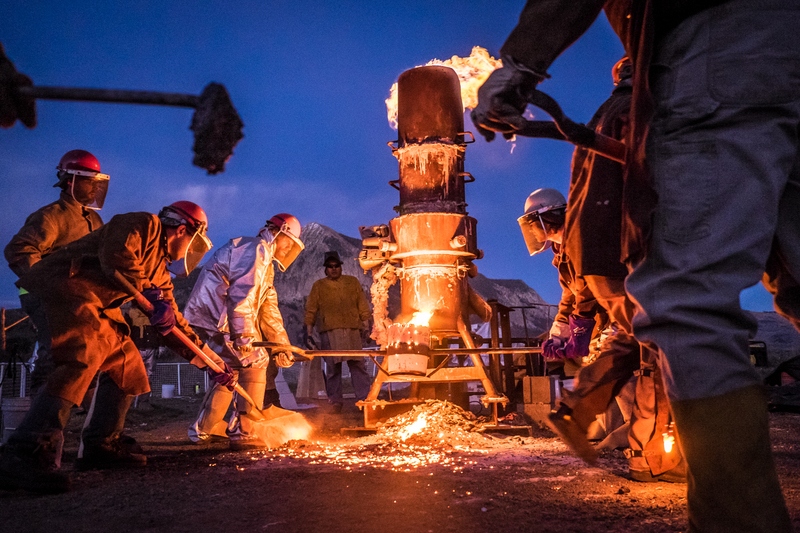 Although the Community Iron Pour definitely shows signs of growing and expanding each year, it’s still able to maintain its small-town charm and bring the community together, while giving artists from near and far the opportunity to showcase their work. 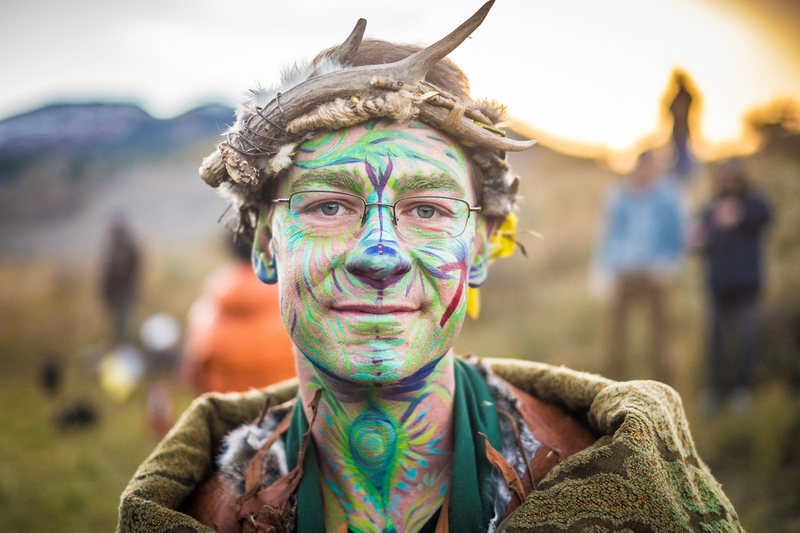 It’s been an incredible privilege for me to photograph such a unique event from its inception, and I hope to make it a tradition of my own in the years to come.